Can you add a grated hopper with another row of filter spaces? Maybe make it crafted with 2 hoppers and 2 iron bars. That would be perfect for me. Thanks! I've found the grated hoppers to be unreliable. 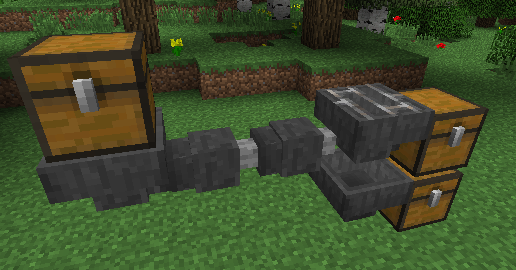 Was making a sorting system with a line of (normal) hopper which a grated hopper below to take gold nuggets out of the line. Except the gold nuggets just kept going down the line and never entered the grated hopper below. Aren't hoppers supposed to prioritize down over sideways? Oh and another thing, I build it in my creative testing world and it worked fine! just in my survival world it fails. IDK WHY! Grated hoppers do not seem to allow any item into it that doesn't match the filter so it can be passed on. Nor will it pass on items entered via a duct that don't match the filter. 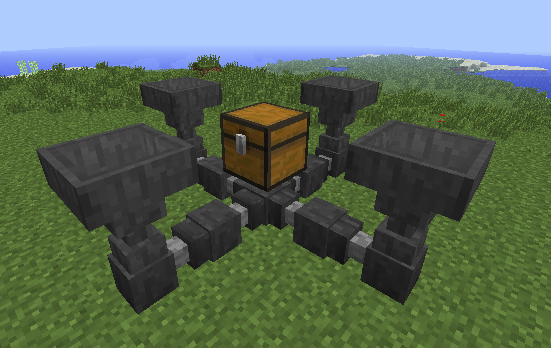 Example : I have a stack of grated hoppers each feeding into a chest. After an item enters the top grated hopper (via a duct from another chest) the grated hopper checks the filter. If it matches it goes in the chest, if not it's supposed to be passed on to the one below so it can check it's filter. Instead the unmatched (unfiltered) item just sits in the top grated hopper. This worked well in 1.11 but I can't get it to work now. Just a thought: What if you were able to direct where specific items go in specific directions? I love the idea of the grated hopper, but I was hoping to tell the hoppers which items to send where. (I'm not very technical when it comes to redstone or hoppers, as i don't understand them very well) Let's say I want items to be sorted without a ton of redstone or hoppers. If it's possible, how would I do this? Excellent mod, by the way! It should be in the game! Love this mod, Would like to see it in 1.12! a really liked this mod, simple an smart, i'd like to have for minecraft 1.12, there is plan for the porting to the new version? This is one mod that should be incorporated into the main game. It's supposed to. It's a hopper that only lets certain items through. Make the grated hopper's chute point sideways and put a regular hopper below it to extract the unwanted items and move them somewhere else if you need. Every time that i put something in the it just disappears. Help?? I made a magic themed modpack and could not find a good system for item transport for early game usage without having to install a technology based mod. This mod is my #1 pick for item transport now. Simple, cheap and effective. will be update to 1.11.2? What are your terms on Modpack usage? 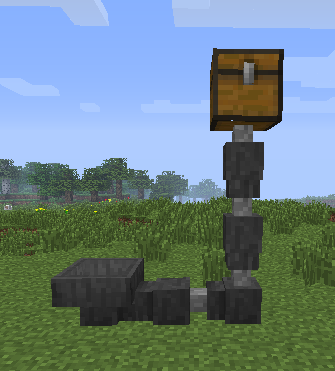 Hello, I really like this mod, however I have been looking for a solution to overflowing items in 1.9. Can I Put This Into My Mod Pack? Quick suggestion, can you add a function to make hopper ducts split items? For example; somehow you can connect one hopper duct to two or more inventories, and each item outputted is sent to one of them randomly, or in a sequential manner. Can I use it in a public modpack?